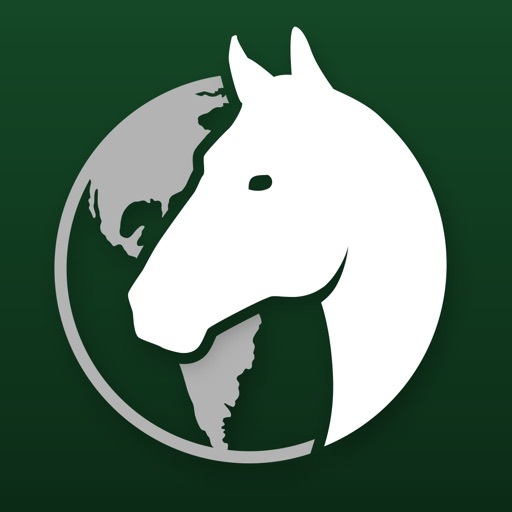 This free app provides the most comprehensive mobile information on Thoroughbred stallions throughout the world. 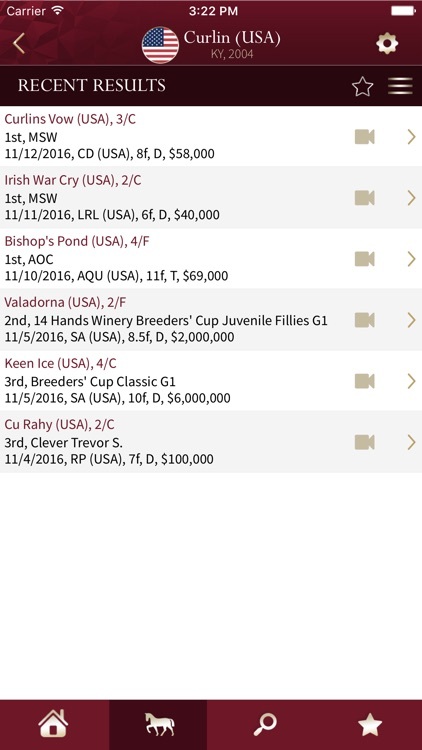 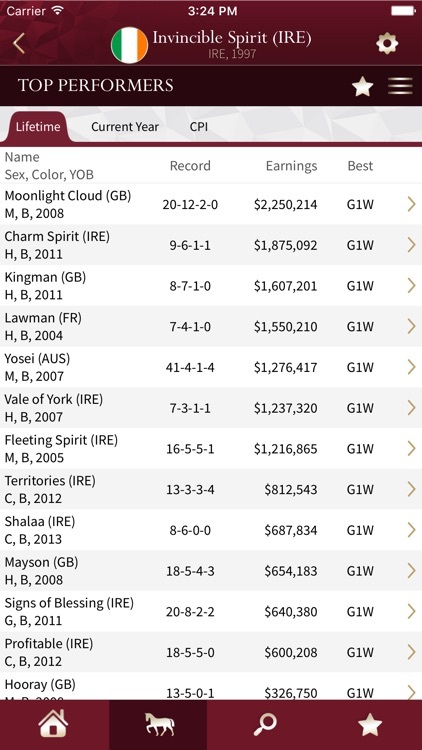 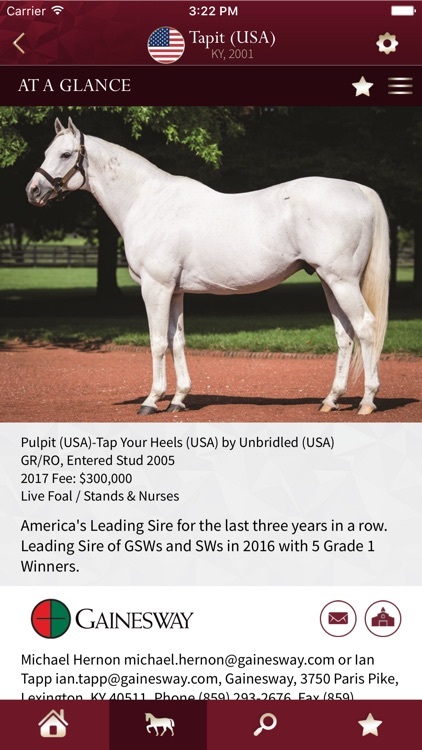 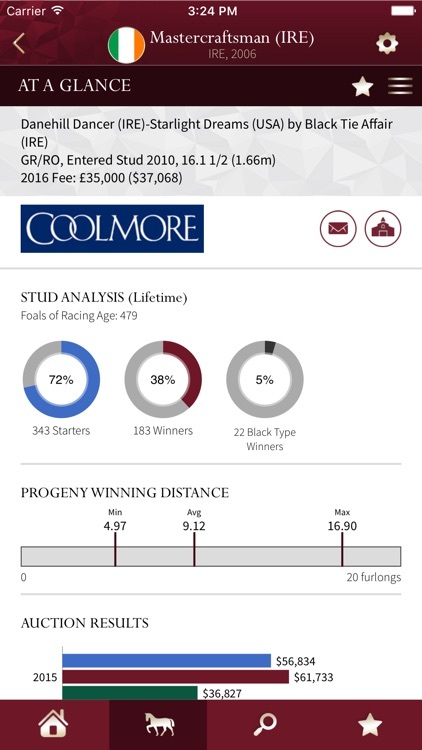 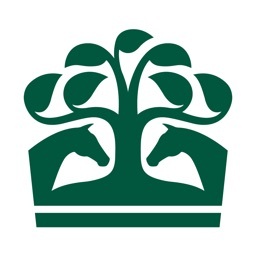 Developed by the industry’s two leading sources for Stallion Registers/Books, BloodHorse and Weatherbys, the Global Stallions app provides daily international updates for the progeny of flat racing’s notable stallions. 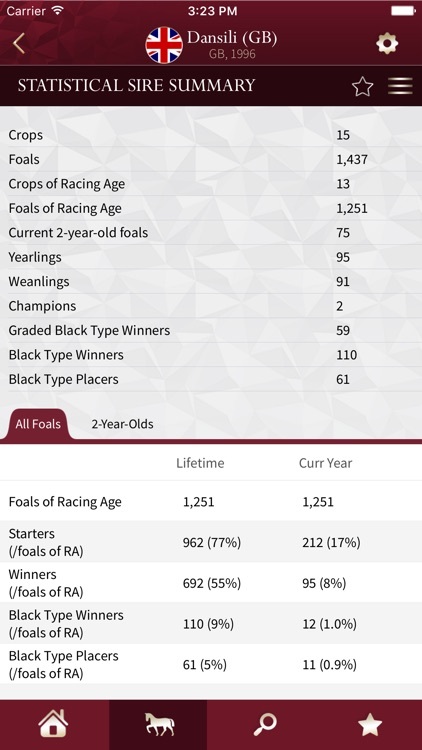 Set your preferences – US dollars, pounds, euros, NZ$ or AUS$ – furlongs, yards or meters – and get immediate access to stallion progeny race results and entries, annual and lifetime performance statistics, auction results, access to detailed pedigree information, and news updates.